Thoroughly and expertly refurbished from top to bottom this three storey classic Edwardian house, typical of the area, has been transformed and now offers a great quality interior with oak floors to the ground floor, a fully integrated eat-in kitchen and spacious reception room opening onto a pretty patio garden. Upstairs there are three good sized double bedrooms and generous shower room and en suite bathroom to the master bedroom. Situated at the southern end of this popular street near Uxbridge Road, in the quieter western end of vibrant Shepherd's Bush. It is near numerous interesting shops and restaurants and local favorites like The Bush Hall and Dining Room, Humming Bird Cafe, Bush Theatre and of course Westfield. Transport couldn't be more convenient with a bus route outside the door and Ham & City and Central Line tubes close by. 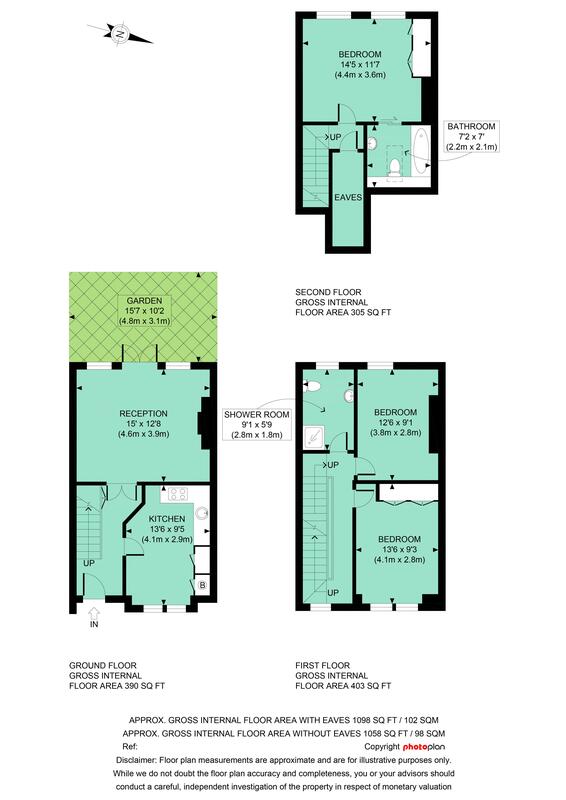 1098 sq ft / 102 sq m approx.